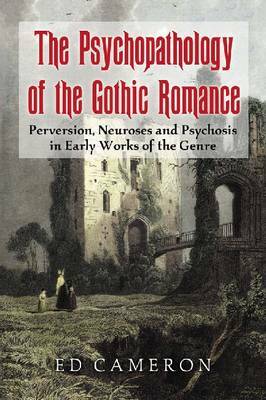 This book uses clinical psychoanalytic theory to illustrate how early British Gothic fiction reveals undercurrents of psychopathological behavior. It demonstrates that psychological insights gained from Gothic romance anticipate the later scientific findings of psychoanalysis. Chapters consider the division of the Gothic novel's critical reception between allegory and romance; how the structure of early British Gothic romance parallels Freud's notion of the uncanny; the genre's perverse origins in Walpole's The Castle of Otranto; sexual differentiation and the parallel between development of Gothic romance an development of the psyche; Ann Radcliffe and the terror of hysteria; Matthew Lewis and obsessional neurosis; and the confusion between self and other in Hogg's The Private Memoirs and Confessions of a Justified Sinner.